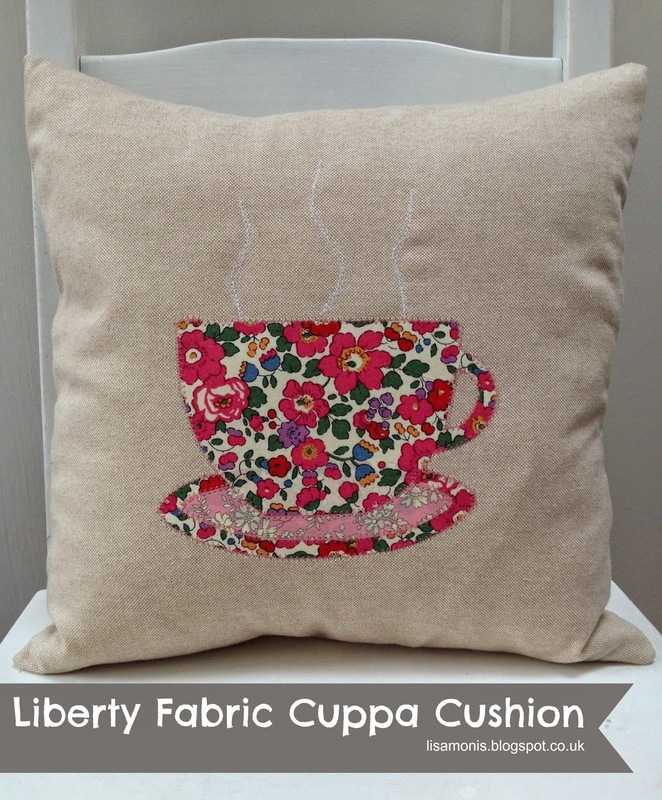 A cup of tea cushion perfect for resting on whilst enjoying a steaming mug of Earl Grey,,,happy days! 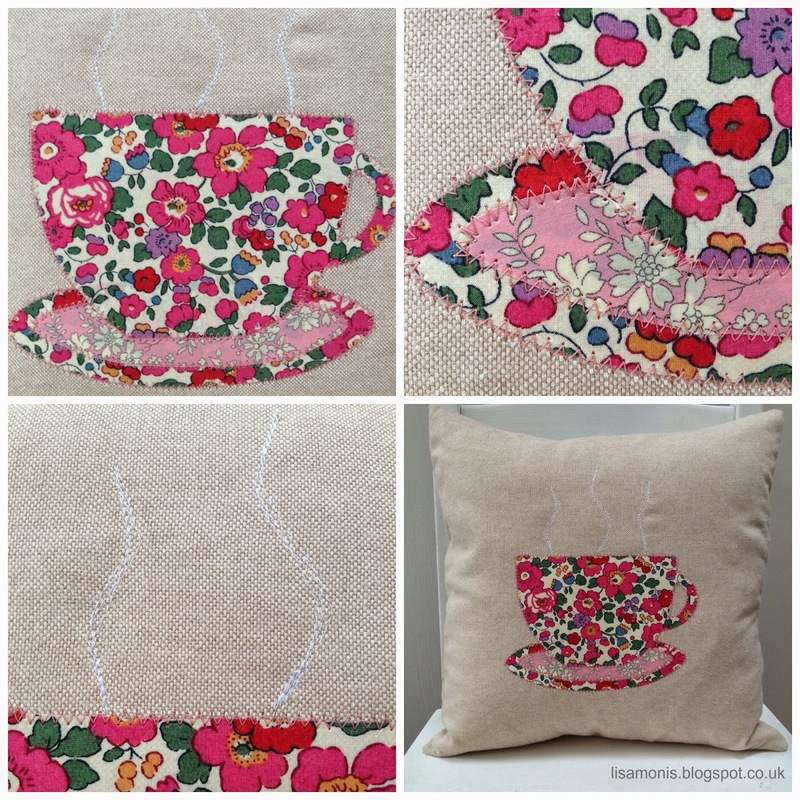 I first created this tea cup template for Sarah's cup of tea rug and have been itching to use it again. Here I've complimented the bright and bold Liberty Betsy Tana Lawn fabric from 1933 with the softer 1978 pink Liberty Capel. Just off to pop the kettle on....cuppa anyone?